Investing and financial management have continued to advance over time. Today, it’s you who determines how the investment and financial markets are changing and how you can leverage those changes to your advantage. The days of savings and paychecks have given way to those of leveraged investments and cash flow. For those who are retired, or are about to retire, it’s a blessing. Time is not as important as knowledge, something you can use to your advantage to not only maintain your current lifestyle, but also to create wealth. One of the ways you can create wealth is by having a cash flow instead of relying on your paycheck or salary. There are several ways to generate income passively, including businesses, paper assets and real estate. Of the various options available, real estate remains the holy grail of investors due to high returns and lower risks. However, for those not well-versed in real estate, it is best to prepare first, as losses can be high. This is due to properties being capital intensive, something a real estate investor knows and takes appropriate measures to address. Another popular choice is to leverage the help of professionals via a turnkey solution. For one, a savvy real estate investor will buy properties for cash flow, and not for appreciation. While they enjoy appreciation, they are more concerned in recouping their investments as fast as possible to pay acquisition costs and to fund other investment projects. This means they do not buy property and pray the market prices continue rising, but rather start getting money from the investments soon after acquiring them. This should be your goal when buying an investment property. 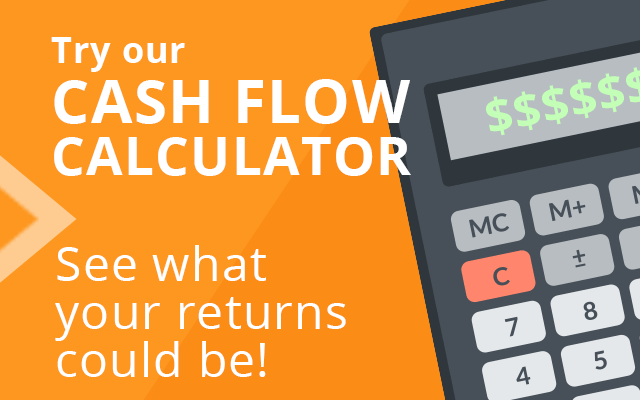 The best way to generate a monthly cash flow is to make sure you are buying a rental property that will command a monthly rent higher than your monthly expenses. The first place to start when considering how to get started making a rental property investment is to choose the right market. There are a handful of real estate markets across the country which have been identified as “cash flow markets” because they offer low prices and high rents. One example is Jacksonville, Florida, where the median home price is 22% below the national median home price. However, gross rents in Jacksonville are only 8% below the national average gross rents. This rent-to-price ratio means that you have a great chance to buy a property that will provide a monthly income stream. Once you have decided what type and which property to acquire, it is time to consider your financing options. While most people only know of mortgages, there are numerous other ways to finance it. Here is where information trumps time as an investment. The rules of different options vary and it is up to you as an investor to know and leverage them. When it comes to IRA, several options exist for acquiring real estate. You can use your IRA to purchase real estate. You have the option of owning private mortgage, essentially making you the banker of that particular property. You can also use a self-directed IRA to acquire investment properties, particularly attractive to those nearing retirement. Another option is accessing your 401(k) plan to fund your property investments. You can start a real estate business and buy shares in it using your 401(k) plan. In a technique known as the ROBS or rollover as business startup method, you create a class C corporation and start a 401(k) plan for it, allowing employees to buy shares. You then move your personal 401(k) plan to the corporation’s and use the corporation to buy shares into the real estate business, treated as any other capital. You must work at the business, thus well-fitted for those retired. Other options for using 401(k) to fund investment properties exist like 401(k) loans. 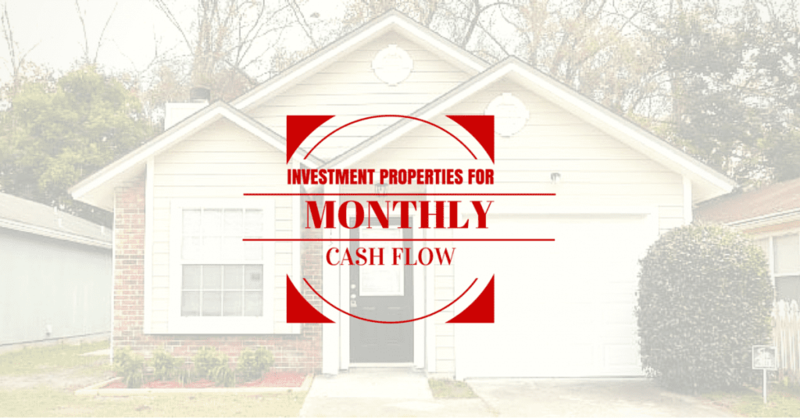 Investing in cash flow properties is a great way to build monthly income as well as long term financial assets. If you have the time and knowledge, you can manage your investments yourself. If you’d rather reap the benefits without putting in the time, then working with a professional team with a proven track record of consistent returns is recommended. 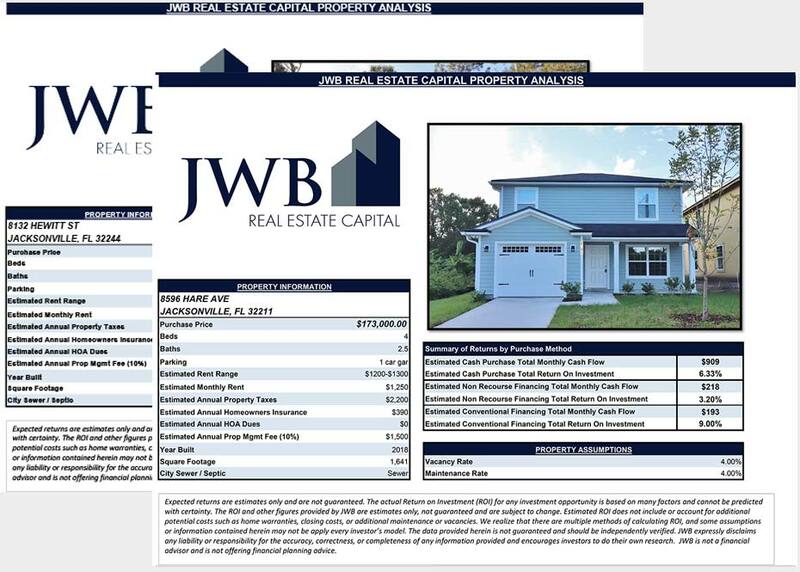 JWB has has helped over 400 clients from 37 states and 12 countries build monthly cash flow through property investing. Contact us today if you’d like to learn more.